Basic Procovery Brewing Steps by Honorable Mention Procovery Guest Blogger Mary Catherine Booth! As we recently mentioned, we found ourselves drawn to two additional entries in our Procovery Guest Blogger contest and while we were planning for just one winner, during the review process, we felt the need to create Honorable Mention spots on our blog to shine a spotlight on some inspiring individuals who shared so deeply with us. This week’s Honorable Mention is Mary Catherine Booth of St. Louis, Missouri! Mary has dedicated the following poem to Procovery Circle Facilitator Millie Fortune-Gilpin, also of St. Louis, Missouri. A cup of Procovery shared with friends isâ¦. Itâs awesome to smell the hope would yah? I realize again that I am blessed to share this cup with such a friend. And most important of all FEELING. It’s a way of life. To share this cup with such a friendâ¦. is life itself. And awaken me once again. *Mary Catherine Booth, with her Basic Procovery Brewing Steps blog submission, is one of two Honorable Mention winners of Procovery Institute’s Procovery Guest Blogger contest! 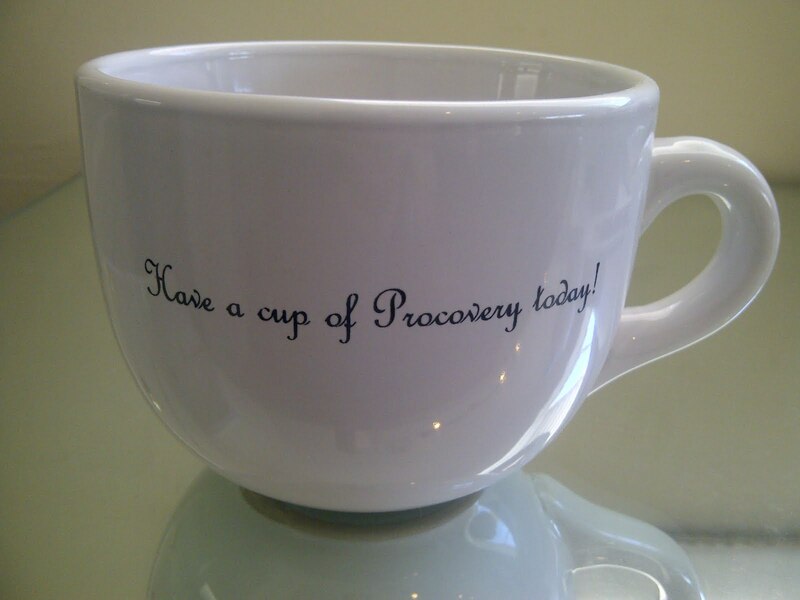 Mary will receive a Have a cup of Procovery today! mug as a prize for her Honorable Mention entry. Thank you Mary for inspiring us all with your creativity and your passion. Congratulations!